At least 20 people have been killed and nearly 70 others injured in twin bombings inside a sports club in a mainly Shia Muslim area of western Kabul. 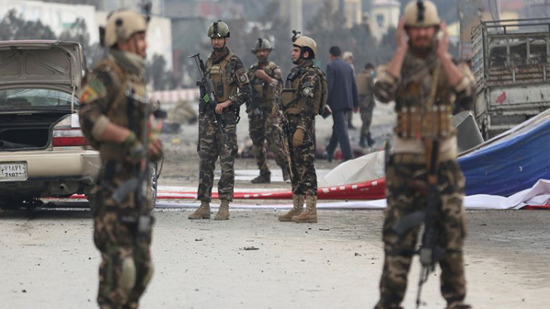 Afghan Interior Ministry spokesman Najib Danish said on Wednesday that the first attack was carried out by a bomber in Dasht-e-Barchi, an area where many of the Hazara Muslims live and has frequently been targeted by bombers. Hashmat Stanikzai, Kabul police spokesman, confirmed the explosion and said the wounded were "being evacuated" from the club. "Based on initial information (the blast) was caused by a bomber," Stanikzai said. Mohammad Hanif, a local resident who purportedly witnessed the deadly assault, said on social media that the bomber killed the guards at the club before blowing himself up inside. Minutes later, a second explosion was reported at the same site, officials said but gave no details. There was no immediate claim of responsibility for the latest blasts. However, previous attacks on Shia targets in the area have been claimed by the Daesh Takfiri terrorists. In mid-August, nearly 50 Shia Muslims were killed in a bomb attack in front of an educational center in the same area. In December last year, a bombing attack on a Shia cultural center and the nearby office of a media outlet in the Afghan capital left at least 40 people dead.